Fri., Aug. 3, 2018, 9:20 a.m.
One was in a dissent in the case of a 17-year-old migrant seeking to terminate her pregnancy. The other was a speech before a conservative group in which he spoke admiringly of Justice William Rehnquist’s dissent in the 1973 Roe v. Wade case that established a woman’s right to abortion. Yet the big question about Kavanaugh’s view on abortion remains unanswered: whether he would vote to overturn Roe. He’ll almost certainly decline to answer when he is asked directly at his confirmation hearing. Decades of Kavanaugh’s writings, speeches and judicial opinions, reviewed by the Associated Press, reveal a sparse record on abortion. That leaves the migrant case, known as Garza v. Hargan, and the Rehnquist speech as focal points for anti-abortion activists who back President Donald Trump’s nominee and for abortion rights advocates who say Kavanaugh has provided ample clues to justify their worst fears. “This is the rhetoric from the anti-abortion groups being used by a potential Supreme Court justice, and that really gives us pause,” said Jacqueline Ayers, the national director of legislative affairs for Planned Parenthood Federation of America. Democrats have been casting Kavanaugh as a threat to abortion rights as they face the difficult task of blocking his nomination in a Senate where Republicans hold a narrow majority. Kavanaugh’s views on other issues, such as the reach of presidential powers, will also be part of a confirmation fight. But abortion is perpetually a contentious issue for court nominees, and the stakes are particularly high this time since Kavanaugh would be replacing the moderate Justice Anthony Kennedy, who has voted to uphold abortion rights. Much of the debate in the case centered on the 1992 Planned Parenthood v. Casey decision, which prohibited regulations that created an “undue burden” on women seeking an abortion. Appellate judges had to determine whether officials created such a burden by not releasing the Central American teen so she could get an abortion. The girl, identified in filings as Jane Doe, was 15 weeks pregnant when the case came before Kavanaugh. The law in Texas – where she was being held – bars abortions after 20 weeks. Texas also requires parental consent, though a state judge waived that requirement. Kavanagh didn’t accept the government’s contention that it could stop the teen from having an abortion in the U.S. He indicated officials could stop her temporarily while they tried to identify U.S. sponsors with whom she could live and who could counsel her on the abortion decision. Conservatives had no complaints about the speech Kavanaugh gave at the American Enterprise Institute last year in which he heralded Rehnquist as “my first judicial hero” and spoke admiringly of his dissent in Roe v. Wade. A 7-to-2 majority in Roe v. Wade struck down a Texas law criminalizing abortion, citing an implied right to privacy in the 14th Amendment. Rehnquist’s dissent said the court had created a right “completely unknown” to drafters of the amendment. Rehnquist also pushed to reverse Roe in Planned Parenthood v. Casey. The court ended up reaffirming abortion rights in a 5-4 decision instead, with Kennedy joining the majority. 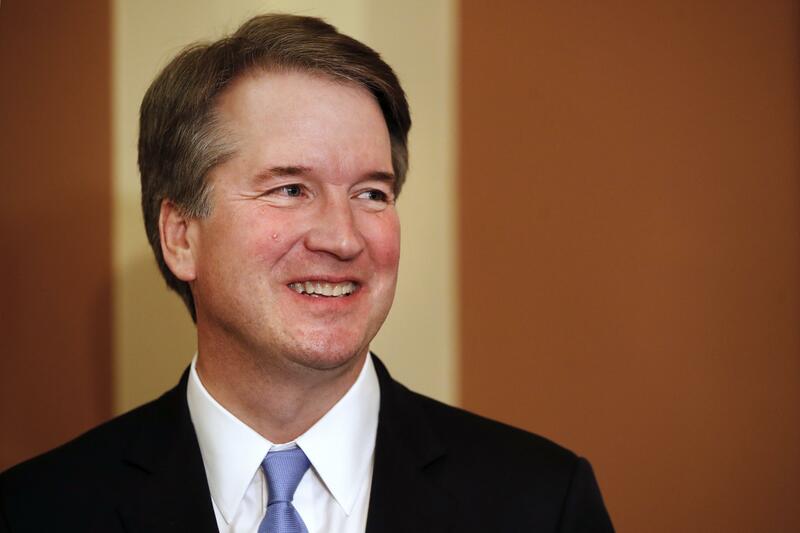 “The speech is not a fair basis for reaching conclusions about Judge Kavanaugh’s views on specific constitutional questions that might come before him if he were confirmed as a member of the Supreme Court,” Walker, a former associate counsel to President George W. Bush, said in an emailed statement. Asked about Roe at a 2006 hearing on his nomination to the federal appeals court, Kavanaugh said he would “faithfully and fully” uphold it as binding precedent. But he answered as a prospective appellate judge. His views as a justice on the Supreme Court, which isn’t as tightly bound by precedent, could be very different. At the same hearing, Kavanaugh dodged questions about his personal beliefs on Roe v. Wade, telling an exasperated Democratic Sen. Chuck Schumer of New York that it wouldn’t be appropriate for him to “give a personal view” on the case. He’ll likely revive that response for hearings on his high-court nomination in the fall. Published: Aug. 3, 2018, 9:20 a.m.